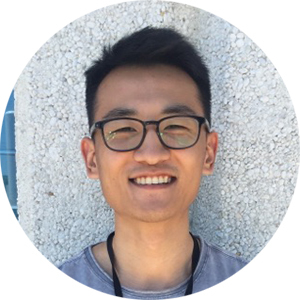 John Zhang has been a consultant at Project X since 2016. In this blog he discusses the value he feels he is getting from working with our multitalented team. In my previous role before starting at Project X, I would look at staff that had been working there for three or four years longer than me and were doing the exact same work as when they started. There was no real teamwork, and the types of projects I was working on weren’t pushing me to grow. When I applied to Project X and was interviewed by people from the development team, I was confident that they had the abilities I wanted to learn, and were also down to earth, fun people. I knew I needed guidance to get where I wanted to be, and was confident that I’d get there with their help. I was not disappointed. The Project X team has a robust series of capabilities, and I’ve learned something from every one of them I’ve worked with. As a junior on the team, everyone I have worked with has been approachable and exceedingly helpful whenever I need assistance with a new tool or process. During team meetings, I am encouraged to participate and feel like my ideas are being heard. I also get to work with and see the team leaders working hard, and that encourages me to improve even more. I now feel much more comfortable working in team settings and have learned valuable communication skills to help me speak effectively to managers and clients. The projects we work on are engaging, and have encouraged me to stretch my thinking. Of course, this is also a demanding job and everyone on the team needs to deliver to not let the others down. This can often mean pulling extra hours, or taking the time to research solutions to tricky problems. Any criticism is always delivered constructively and I have benefitted from it – we are always encouraged to push our limits. At the end of the day though, we do this because we are fully invested in making sure we go above and beyond for our clients. If you were to apply for Project X, I would say you need to be prepared to learn quickly and be to work hard. If you’re ready for a challenge and want to grow quickly, this is a good place to be. Click here to read more employee testimonials, or if you are interested in viewing open roles at Project X, be sure to visit our career page.